Bermuda’s Jessica Lewis – who specializes in sprinting and recently represented the island at the 2016 Paralympic Games in Rio - has taken top spot among females in the wheelchair division in the Niagara Falls Half Marathon in Canada, achieving a personal best time in notching her victory. 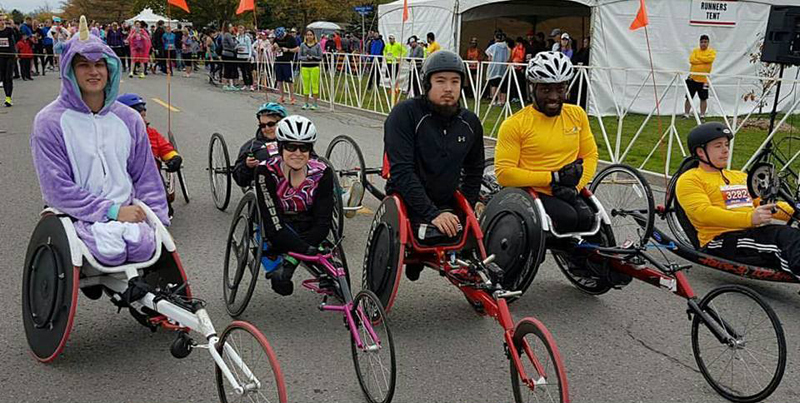 Her time of 1:05.25 over a distance of 21.1 kilometers saw her ranked as the top female and 11th overall in the wheelchair division. Congratulations Jessica! Great way to bounce back from your Olympic performance. You continue to make Bermuda proud. Keep up the good work. Blessing to you. Well Done Jessica – your represent Bermuda with pride and dignity, and Bermuda is proud of you ! Congratulations also to Coach Ken Thom and your Team Mates.